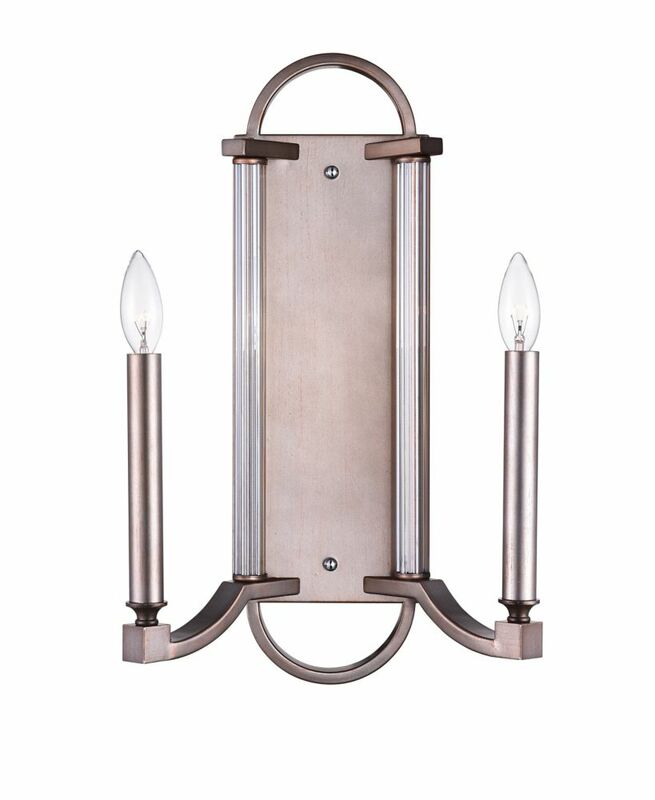 This breathtaking 2 Light Wall Sconce with Brownish Silver Finish is a beautiful piece from our Marlia Collection. With its sophisticated beauty and stunning details, it is sure to add the perfect touch to your dicor. Romantic look with dripping wax candle sleeves and draped crystal accents. Quality cut crystal brings sparkling reflections in to room with a dramatic effect. Decorative wrought iron sconce arms and accents. This wall sconce will update your home with its eye-catching design. Featuring a chrome finish and black shade(s), this fixture will accommodate a variety of dicor styles. With its easy installation and low upkeep requirements, this wall sconce will not disappoint. This wall sconce will update your home with its eye-catching design. Featuring a satin gold finish this fixture will accommodate a variety of dicor styles. With its easy installation and low upkeep requirements, this wall sconce will not disappoint. Marlia 12-inch 2 Light Wall Sconce with Brownish Silver Finish This breathtaking 2 Light Wall Sconce with Brownish Silver Finish is a beautiful piece from our Marlia Collection. With its sophisticated beauty and stunning details, it is sure to add the perfect touch to your dicor.